Blue Quills University | TV, eh? The final two episodes of CBC’s controversial Canada: The Story of Us aired on Sunday night, and covered a good deal of territory. Episode 9, entitled “A New Identity,” takes us from Newfoundland’s journey to join Canada, to Rocket Richard’s influence on the Separatist’s movement and the emergence of the FLQ. 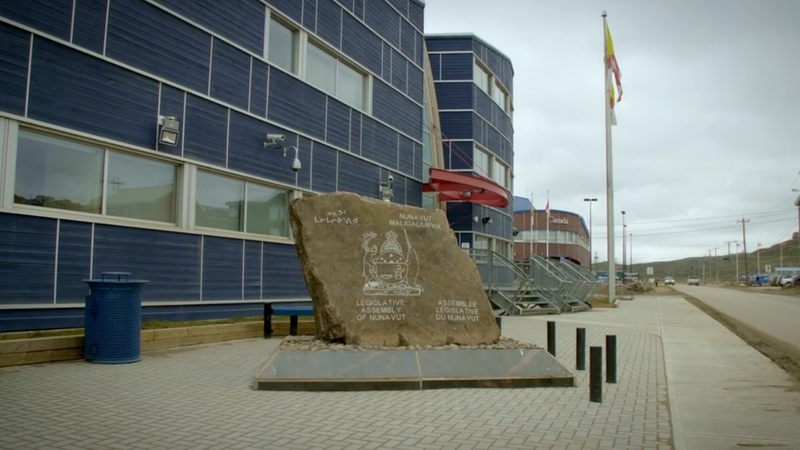 Episode 10, “The Canadian Experience,” covers the Vietnamese Boat people, the Oka Crisis and the creation of Canada’s third territory: Nunavut. 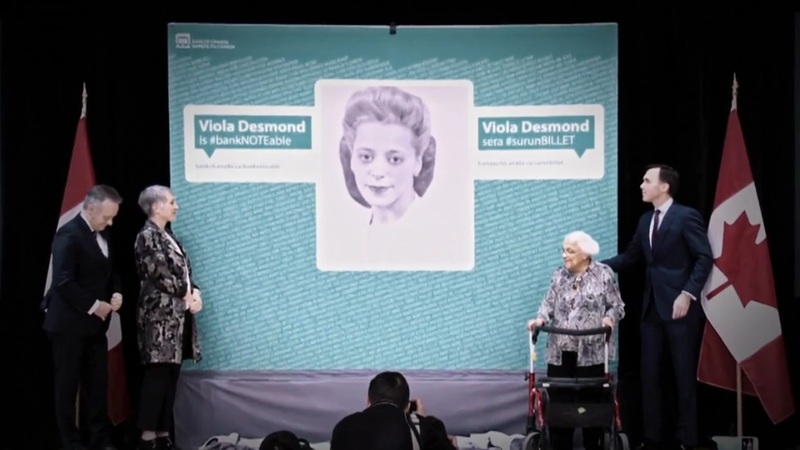 The segment in “A New Identity” featuring Viola Desmond’s role to further civil rights in Canada and the segment on the Indian Residential School System (RSS), featuring the story of Blue Quills, were, I am sure for many, an eye-opening experience. Canada and Canadians often elide over the not-so-pretty aspects of our history, particularly those involving racism. My own personal involvement with Indigenous communities, and the many residential school survivors I come into contact with, pretty much ensures I am particularly sensitive to the telling of the RSS. 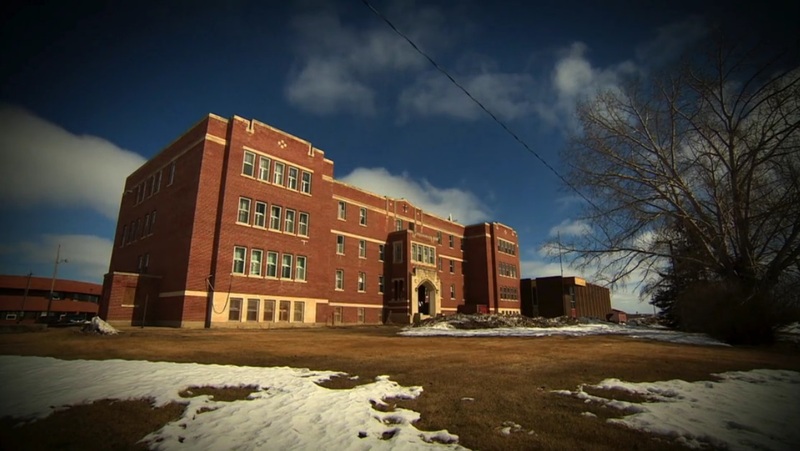 The public protests that challenged Blue Quills Residential School , was the impetus to close the schools across Canada. The government planned instead to send all Indigenous children to local public schools. But, First Nations communities fought for and won the right to run their own community schools; one of the first steps to self-government. My only problem with the telling of this story (and yes, time is still an issue) is producers told only the beginning of the end. They neglected to note this form of abusive structural racism had gone on for upwards of five generations, and as a result of the abuses perpetrated on innocent children, the survivors and their offspring now suffer multi-generational traumas that oft-times present as lateral violence in communities. Further, because of current funding regulations and guidelines in Canada and the provinces, instead of providing mental health services to survivors, social service agencies strip children from communities for their protection, and pay families outside of the child’s home community to raise Indigenous children. This practice is commonly referred to as The Millennial Scoop. The final episode of Canada: The Story of Us takes a look at Canada’s multiculturalism, tying nicely to current Trudeau policies regarding the Syrian refugee crisis. 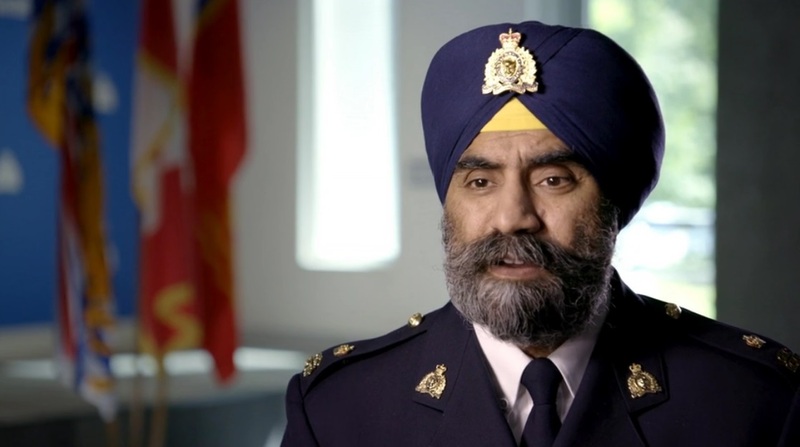 This, however, presents difficult challenges for long-standing institutions like the Royal Canadian Mounted Police as demonstrated via Baltej Dhillon’s desire and proven ability to serve as an RCMP Officer whilst accommodating his religious and cultural need to wear a turban. The creation of the Nunavut Territory tells the “how to” for Indigenous relations done right. However, the Oka Crisis is the “how to” for getting it miserably wrong. The series close is filled with irony. The guest narrators, particularly Lorne Cardinal, Waneek Horn-Miller and Hayden King, discuss the chasm that still exists between mainstream Canadians and the Indigenous populations in Canada today. The primary complaint: there is a large part of Canada’s history that is missing from the textbooks; the very complaint that viewers and reviewers of Canada: The Story of Us have repeatedly bludgeoned producers and the CBC for. Perhaps the best “Take Home Lesson” for Canadians is the recognition of our own deep seeded need to see our story told—an impossible task in just 440 minutes. It is interesting to note that those who were most upset were those who failed to see their own histories told, or they were told in ways that were not recognized to the lived experience that is theirs in Canada. However, this lack is the lived experience for many who continue to be marginalized in Canada; they have yet to see their stories told. They have never seen their own “Story of Us.” Maybe now the majority of Canadians who were upset at not seeing themselves adequately portrayed here in one television series might translate that experience and place themselves into the “othered” shoes for just a moment. Perhaps then the underlying bitterness that persists between cultures could be understood. Elder David Plain of Aamjiwnaang, weighs in with his final comments about the final two episodes of Canada: The Story of Us. The last two episodes of the series were much more balanced. If the whole series were like these two, it would have been first class. There were “feel good stories” like 1979’s Vietnam boat people and Baltej Singh Dhillon’s turban. But, there were also some “not so feel good stories.” I was pleased to see the producers tackle some of the country’s blights, such as Viola Desmond, a black Nova Scotian, and her story of discrimination, which was compounded by the courts. “English Canada’s” treatment of “French Canada”, was also related, both stories from the 1950s. However, some of them spoke to me louder because they affected me in a more personal way, like the story of Blue Quills and the residential schools. When my parents married in the late 1920s, they were both widowed. Each had families and their own homes. My father’s house was on the reserve and my mother’s house was in the city. They had to choose where to live and they chose the city. When I was a boy, I asked my mother why we didn’t live on the reserve with our relatives. She said, “because I didn’t want you kids to go to ‘Indian school.’” I just assumed that she was talking about the quality of education, so I didn’t ask any more questions. That was the only time and all I ever heard about the horrors of the residential school system until I was in my 40s, and stories began to surface in the general public. But in our family and in the reserve community, it was just not talked about. When the news of the trouble at Oka broke it spread, as they say, like wildfire through the native community. My sister, Muriel and myself were living in Toronto at the time. She asked me if I wanted to go to support the Mohawks, but I was employed at the time and could not get the time off work. However, that didn’t hold her back. She left the first night and was there for the duration. That was one of those decisions in life, which makes me wish I had a do-over. The story about the creation of Nunavut was particularly heartening. I see it as recognition of Indigenous people’s sovereignty over their own land base and the right to self-determination. It’s what should be happening throughout the country. Until it does reconciliation will remain just a dream. But the relinquishing of power doesn’t come easy. In our last election, a lot of grand promises were made to the Indigenous community. Now a lot of them are being broken. The current government promised to sign the United Nations Declaration on the Rights for Indigenous Peoples. Now they say they can’t but with no plausible explanation. The real reason is that if they did, it would give Indigenous peoples a seat at the table, a right to veto anything affecting traditional territories. Canada would much rather keep us at the “right to consult” position, whatever that means. Nunavut is an example of the meaning of the treaties. We need to start moving towards this direction if reconciliation is ever to become a reality. Chi Miigwetch to David Plain for his insight during the airing of Canada: The Story of Us. I am sure our readers learned a great deal from your shared thoughts. On Tuesday, May 16, at 8 p.m. on Facebook Live, CBC Montreal host Mike Finnerty will be hosting a live round table to discuss Sunday’s episodes. David Plain B.R.S., M.T.S., is the author of five books with a sixth, The Exmouth Chronicles: A Memoir due out later in 2017 . You can reach David on Facebook or Twitter.